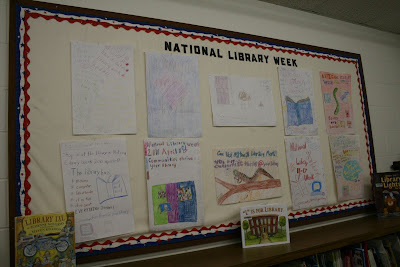 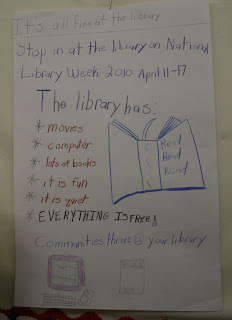 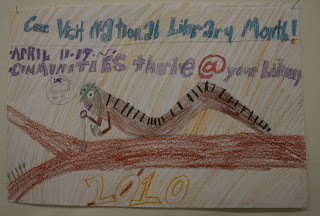 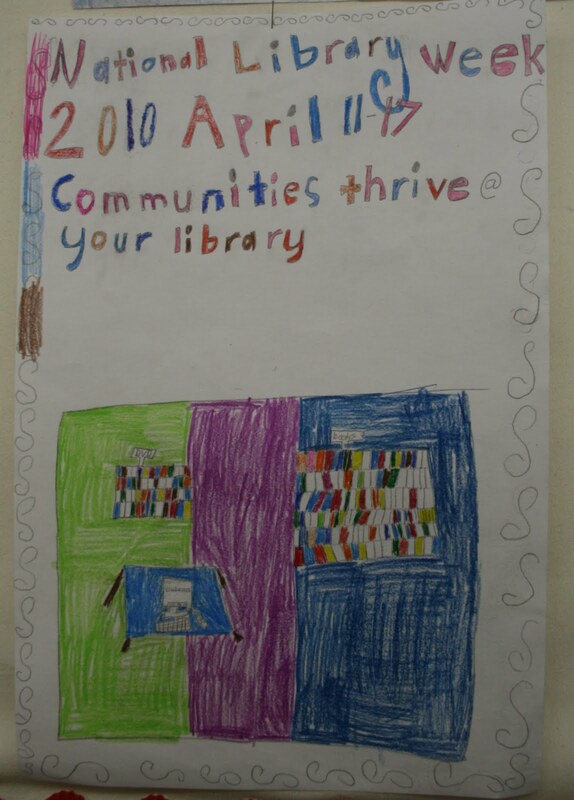 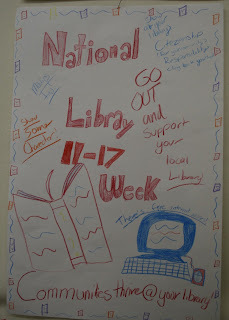 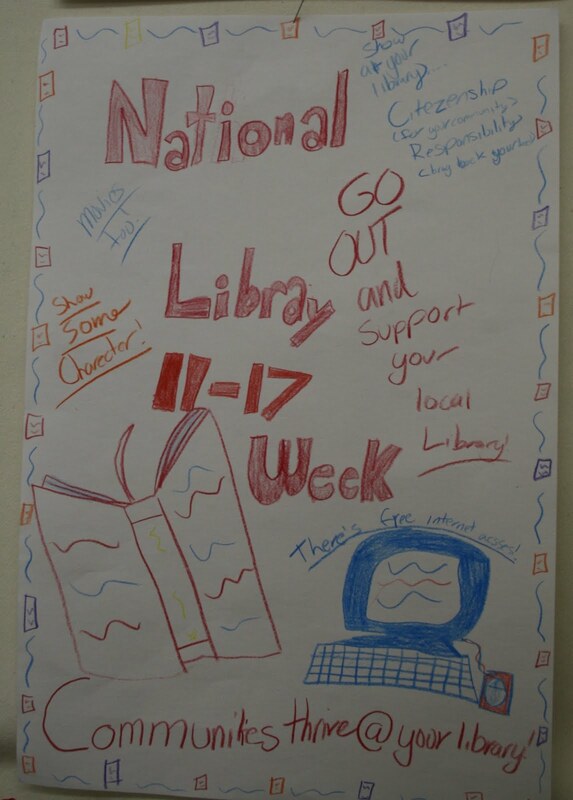 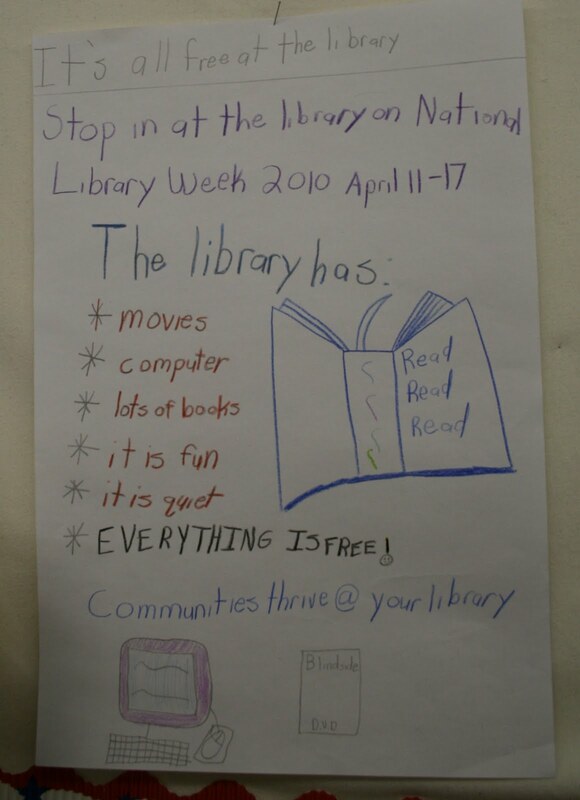 Students of Ms. Susan Wait at Exeter-Milligan school made posters as a 4th grade art project to recognize National Library Week. 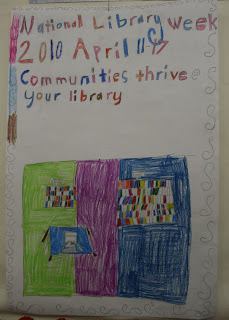 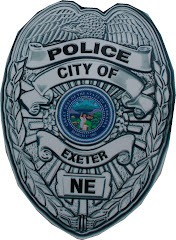 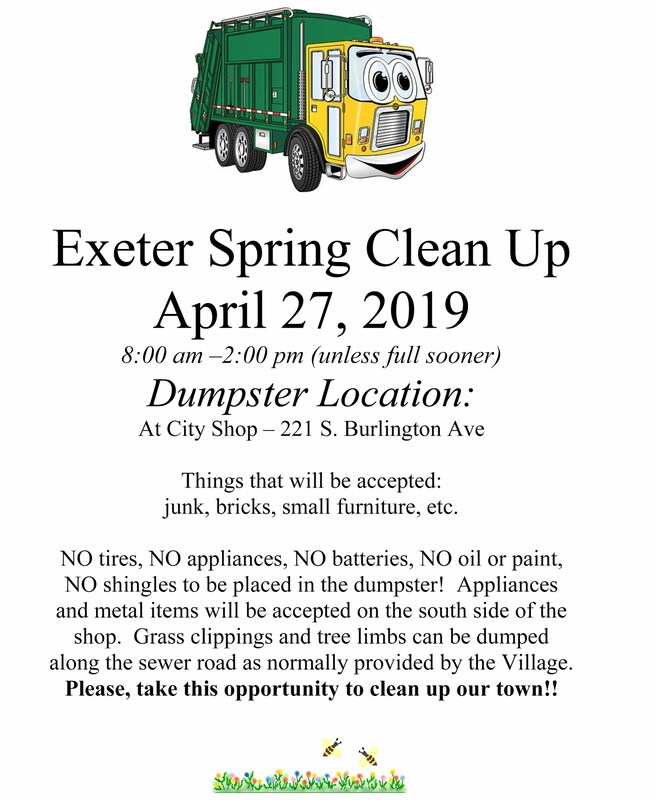 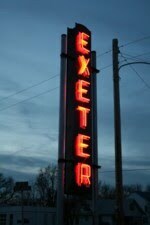 The posters are on display at the Exeter Library (shown here) and at the Milligan Library. 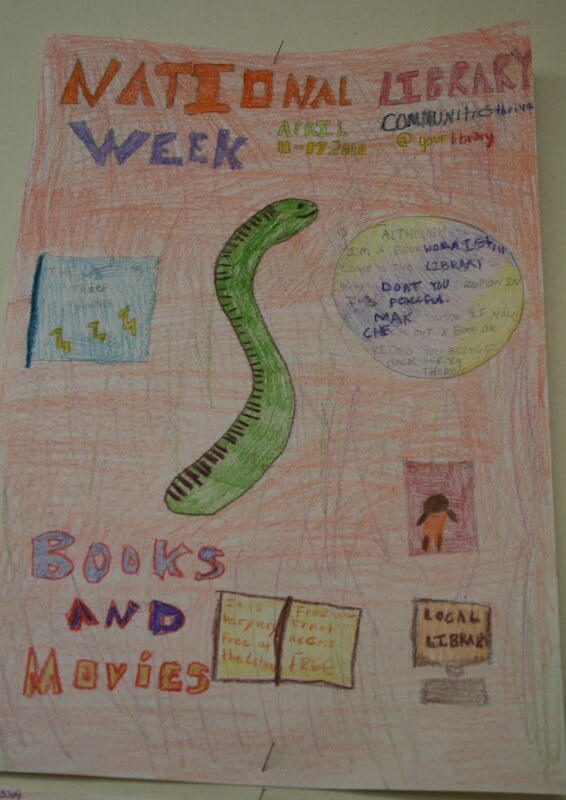 The students visited the Milligan Library on Wednesday, April 14th where they planted seeds and read several books, including The Curious Garden and Diary of a Worm.